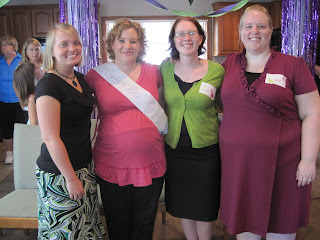 The Appraiser's Wife: Baby Shower! 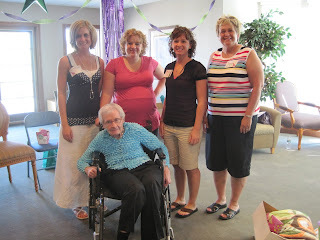 On August 8th I had my first baby shower! It was so much fun, and squirt got so many great things. We are so blessed to have great family & friends! Three friends of mine from high school put it on Sarah Bunge, Meesha Weber & Alicia Kuenzel. Everything was perfect. From the invitations to the games, to the food. 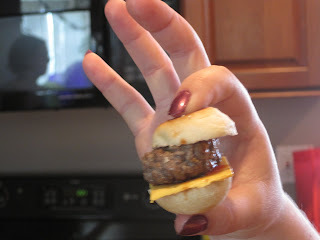 As you can see below they had little tiny cheeseburgers with matching sized buns! so cute. 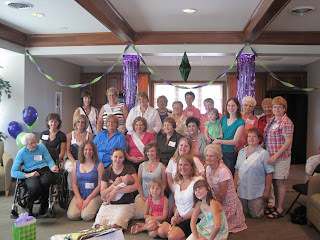 Me with the ladies that threw the shower. THANKS LADIES! just call us senior citizens! Volunteering @ the Story City Carousel!